Ultraviolet (UV) filters, which are common constituents of sunscreens and other cosmetics, are reported as a threat for coastal coral reef ecosystems. 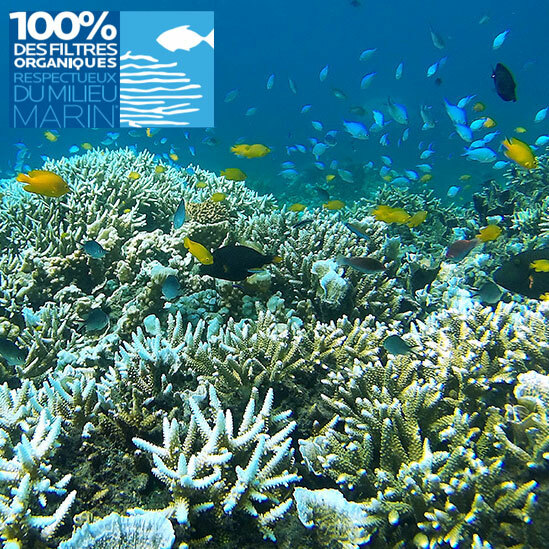 To investigate this, and to check the possible toxicity of its own filters, the L’Oreal group has joined forces with the Scientific Centre of Monaco (CSM) to develop a new test method to accurately measure the impact of sun filters on corals. The results of the study have just been published in the Coral Reefs Journal. The method developed by the CSM and L’Oreal researchers is based on measuring one of the key parameters behind the bleaching of coral reefs, the photosynthesis of the micro-algae living symbiotically with the corals. The researchers at CSM developed a test in the laboratory on cultured corals from the species Stylophora pistillata. In controlled light and temperature conditions in natural seawater, the model can be used to evaluate the impact of any molecule that could contaminate coral reefs. During the study, the researchers at CSM exposed the corals to increasing concentrations of UV filters, ranging from the maximum concentrations found in the sea in tourist areas up to concentrations 10,000 times greater. “Our study is the first to develop a replicable test using a key parameter in the physiology of coral – which is very sensitive to environmental disturbances - the photosynthetic activity of the algae that lives symbiotically with the coral. These algae are essential for the life of their coral hosts. This test, currently applied to cosmetic products, could be used to evaluate the toxicity of any type of molecule” said Denis Allemand, Scientific Director at CSM. Five “loreal” filters were tested (Terephthalylidene Dicamphor Sulfonic Acid, Drometrizole Trisiloxane, Ethylhexyltriazone, Butyl Methoxydibenzoylmethane and 2-Ethylhexyl 2-cyano-3,3-diphenylacrylate) as well as one Zinc oxide and two paraben family preservatives (Ethylparaben and Butylparaben). According to the authors of the study, published in the Journal Coral Reefs, it should first be noted that, for many organic filters, the measured concentrations were significantly lower than the nominal concentrations, due to the lipophilic nature of the compounds. The organic filters tested (including the five used by L’Oreal) showed no adverse effects on coral symbionts or animal tissues up to the concentration corresponding to their limit of solubility in water (and even beyond). In contrast, Zinc oxide reduced the photosynthesis efficiency of symbionts associated with the scleractinian coral Stylophora pistillata by 38% in 35 days. For preservatives, under the conditions studied, no adverse effects were observed with Ethylparaben while Butylparaben reduced photosynthesis efficiency by 25% at the maximum concentration of 100 µg L-¹. By publishing these results, L’Oreal intends to demonstrate its commitment to the development of products that respect the marine environment. And the study highlights the need to improve our knowledge on the in situ concentrations of UV filters and preservatives as well as their individual and combined effects on corals. • See the study Photochemical response of the scleractinian coral Stylophora pistillata to some sunscreen ingredients, Jean-Pierre Fel - Catherine Lacherez - Alaa Bensetra - Sakina Mezzache - Eric Beraud - Marc Léonard - Denis Allemand - Christine Ferrier-Pagès, Coral Reefs. 10.1007/s00338-018-01759-4.